The Money Knot – What If It Really Isn’t About The Money? Our next teleclass is about our Money Trap Doors. This is a phrase I have coined for those money related beliefs that seem to magically open up beneath our feet, causing us to fall away. There are many of them. Some we have created for ourselves, others are cultural. There is one in particular that I thought deserved some extra special, individual attention, sort of like the kid that is acting out in school. Let’s call this one Masquerading as Money. Let me give you a couple of examples and see if you can recognize it for yourself. A while back, I had a call with an attorney. He was seriously considering further discounting his fees based on an interaction he had with a potential client. He said he already was charging less than the going rate, and had made sure that the potential client knew that. The client had committed to work with him on some family oriented legal work that the attorney specialized in. The next morning the client called and canceled, saying that her brother had decided they should go with their general family attorney. Our attorney asked if money was a factor, and the potential client said yes, but it was mostly about using the family attorney. Our attorney felt this was a signal to further lower his fees. I felt it was much more about that the family was nervous about an unknown, and wanted to go with the person they knew and trusted, even if it wasn’t their specialty. Both our attorney and the client tried to make it about money, but I just don’t think so. To be even clearer, if we took money out of the equation, would the client still have chosen the family attorney? If the answer is yes, then money isn’t really the deciding factor, is it? So why would someone take a non-money problem and try to blame it on the money? It’s often easier to make things about money. It’s less emotional in some ways. We get less tangled up. I found myself confused once by something I was trying to make about money, when I knew it wasn’t. I’d been having regular massages by a particular masseuse (yes, lucky me!) I consider these massages as being necessary to my good health. Suddenly, one morning, I woke up and thought “I can’t afford those massages anymore.” I literally looked around to see who said that. I was actually astonished. I knew that nothing in my financial position had changed. I could afford the massages just as well this month as I had the prior six months. What was going on? As I sat and pondered this, I realized that I just didn’t like her technique any more. Somehow it wasn’t doing it for me. The real problem had nothing to do with money. Yet what were the first words out of my mouth? We aren’t accustomed to being able to just change our minds about something. We have perhaps a cultural pressure to have a “good reason” for a change. It seems strange to just change our mind. We need to be angry, or have had bad service, or no longer be able to afford whatever it is. That last reason seems to be the easiest to put over, the easiest for people to accept. No one talks about money. So no one is going to question that excuse. There is this magic thing, if you make it about money, no one asks any questions. Try it. Next time you don’t want to do something, just say “I can’t afford it.” It’s like magic. People will disappear. Talking about money on that level is so taboo, it’s a true conversation stopper. It can be a great excuse, if you are conscious of it as one. However, if you use money as the excuse, or the Masquerader, without being conscious of it, you’ll just fall through a Money Trap Door, and find yourself somewhere you may not have wanted to go. It’s good to sort it out and know what part is really about money, and what part really isn’t. I’ve got a client that did just that. Her ex-husband wanted to take their son on a vacation, and he wanted his ex-wife to give him money for the extra cost of feeding his son during the trip. She realized that this wasn’t really about money. It was about a bunch of other things, things like fairness and power and putting the son in the middle. The tangle that was building over the son being told that he wouldn’t be able to go on the trip unless him mom paid for his food wasn’t about money. It would have been easy in some ways to let it be about money, wouldn’t it? But the tangle of power and fairness is the real problem. Often the choices around these issues don’t have a nice and neat happy solution. People make it about money to avoid pain or embarrassment. We make it about money to minimize pain, to eliminate scrutiny. We make it about money because we know that most of the time people won’t look beyond money for the cause. It’s easy to make it about money. If the problem is not about money, then it costs us to make it seem so. It costs us by reinforcing the idea that money “makes” things happen. When you make money the “bad guy”, you end up hiding the actual cause, and thus make it impossible to stop or change. What other costs can you see? Now that you know what happens when an issue Masquerades as Money, you have a choice. You can look to see what else is creating the issue, or you can continue to fall through the trap. Choices are like that. If you are interested in identifying other Money Trap Doors you may fall through, join us on this month’s call. We have two events to talk about in this Money Knot. One is for April, and a special one for early May, for those of us with artistic and creative leanings. Teleclass: What’s Your Money Trap? Here’s how Money Trap Doors work. You are walking through life and suddenly this money place takes over. It’s like we just fall through a trap door. We are surrounded by Money Trap Doors all the time. Some we have created for ourselves and some are imposed by our culture and history. Identifying and exploring these trap doors will create both clarity and choice about whether or not you want to keep falling through them. We’ll explore at least five Money Trap Doors. While exploring them, we will look both at their impact on you when you fall through one, and also how to avoid being drug into any trap doors that other people may try and pull you into. Learn how to walk around, jump over, or at least climb back out of those money traps. Fee: FREE your only cost for this call is your regular long distance call charges. Our second teleclass is a joint venture between Shell and Rebecca Coleman. Teleclass: Can Artists Be Friends With Money? As creatives, you just want to be creative! You are passionate about your art, and you want to spend all of your time doing that. You do not want to spend time thinking about how to pay the rent, how to market yourself, and how to create more income. If you want to survive, thrive, and even prosper as an artist, you need to get clear about your relationship with money. $ Does it feel like money is some mysterious thing that no one ever really explained to you? $ Do you sometimes wish that you never had to think about money again? $ Does crunching numbers sound about as fun as a root canal? Money coach Shell Tain will be with us to point out the money related road blocks that keep us stuck in the mindset of being starving artists. Shell has a no-number-crunching approach to money that helps us see it in new ways. You’ll leave this call with some new perspectives and ideas about you, money and about your relationship with it. Together, these two will lead you towards untangling some of the money thinking that keeps road blocking you on your way to being both a creative and a prosperous artist. Welcome to the February 2010 Money Knot, a newsletter with articles that bring you to the ka-ching. I’ve been thinking a lot lately about something we might to label as Customer Service or Customer Satisfaction. I get fascinated by the way independent business people often shoot themselves in the foot around these issues. As a self employed person myself, I’m all too aware of what we all go through to get clients. We work hard at presenting our products and our selves in manners that will be appealing to others. Certainly, there is a great deal yet to learn about how to get clients. I’m more interested here in talking about how to keep them, or at least to not alienate them. Oddly enough, or maybe not so oddly, it is often a money issue that tips the scale, isn’t it? So, let’s explore this some more. A fascinating thing I learned years ago, but that still eludes many small business owners is the FACT that if you make a mistake with a customer, and fix it well, you have more loyalty from that customer than if you hadn’t messed up in the first place. What a wonderful idea. I can be a doofus, and make a mess, and if I clean it up in a timely and efficient fashion, I’ll be lauded for it. Wow! And the opposite is also true. If I mess up, and leave the client in the lurch, I will definitely not be getting them back. I’ve got a few examples for you to consider. I don’t really mean to pick on contractors, but since we have used a couple lately, they come to mind. First we had a company that fixed the driveway at our old house. They did a great job, clean, on time, on budget. When we moved and needed a smaller concrete job, we called them first. We had to call them about four times before the person who we needed to talk with called us back. When he finally came to give us a bid, he tried to convince us of a very grandiose expansion of our project: “Let’s take out the whole patio and redo the whole thing!” We called him back and asked for a quote on what we had said we wanted to begin with. He said he would quote that, but then he never called us back. I imagine he’s sometimes puzzled at not having more business. He certainly won’t have any more from us. So then we get another contractor to do the work. Good bid, on time, good job. We paid him promptly, and called to ask for him to come back at do some clean up of the mess the concrete left. This was well within the scope of the work, and he said he would be back in a couple of days to finish up, and we never heard from him or saw him again. It seems that once he had been paid, he disappeared. I make up that for him a good job is one he gets paid for, not one that is complete. He, too, will not get any more work from us. A client told me a story recently of a situation in a department store where she shops. She’s been shopping there for many, many years. They know her well. She came in and bought several items. One blouse she liked had a rip in the seam. They said “oh, we can fix that”. So she asked if there would be a reduction in the price. They said “no, no one will ever know, it’s on the seam”. This didn’t sit well with her. She didn’t want to pay full price for a piece that was damaged, even if it got fixed. She refused the sale, but more importantly now has developed a very negative feeling about the store. By not fixing this situation well, they have damaged a very established relationship, and have probably lost money in the long run. It’s not about who’s right here: it’s about understanding and accommodating your customer. Do you want them to come back? Do you want them to refer you to others? Do you want them to have a positive experience with you? Certainly, as an independent business person, you need to have standards. Those standards help the client to respect you. I have a friend in customer service who says it’s about managing client’s expectations, not meeting them. I think that’s true. Help the customer to know what you expect. Set ground rules, set expectations. Set high standards. And then be flexible and accommodating. Yes, you can do both. And you can do it around money, too. Let’s talk about fees a bit. I charge a certain fee per session for clients. That’s the fee. That’s my standard. You can imagine that some people feel they can’t afford my fee. How do I accommodate? How am I flexible? Well, in a variety of ways. I let the client decided how many times a month we will talk. I offer complementary sample sessions. I do free teleclasses. I have a liberal policy around schedule changes. I’m generous with my time and experience. And all the while I hold a standard and don’t discount my fees. Flexible and accommodating. And yes, I let people know these things upfront. These, of course, are just examples, my examples. Holding to standards, yet being flexible can be done in many ways. I truly think the thing that is missing is the goal, the standard, the mission statement piece around how to treat customers/clients. Seems to me like it’s the good old Golden Rule. Treat others as would like to be treated. I’d like to know what to expect up front. I’d like to not be surprised. If I have a problem, I want to be treated respectfully, like my concern matters, and to be given some attention. I recently changed my business bank because I was tired of being ignored, stuck in phone trees, and regulated. I want personal attention, not rubber stamping. Don’t we all? So think about it: how do you treat your clients? What do your current actions with them say about your standards? Are there ways you are forgetting to make allies of your clients? How can you be flexible and treat them like you’d like to be treated? I really love to refer people to businesses and services I admire and respect, and ultimately, as I market my own business, that’s what I’m doing. I’m referring others to me, because I believe they will get great value and service. Let’s all strive to be able to do that, to be proud of how we treat each other. This month’s Money Knot is about how, as business people, we sometimes shoot ourselves in the foot. Often, those unfortunate lapses in judgment are around our fees. Come explore how to truly understand your value to your customer/client. $ Do you often find yourself tongue tied when people ask your fees or rates? $ Do you sometimes discount your rates even before you are asked to? $ Do you occasionally think that deserving people cannot afford you? $ Do you ever feel guilty about how much you charge? $ Have you ever thought that you would be a better person if you gave away your services? This teleclass is an examination of how we often self-sabotage ourselves around our fees and our charges. In this class, we will start to untangle and shift your beliefs about your worth and value, and their affects on your fees and clients. In case you are wondering why this is called The Money Knot, here’s the story. 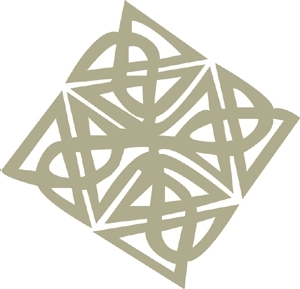 I’ve always been fond of Celtic knots, and you notice I use one as my logo. From my perspective, there are several things about these knots that relate to our money journey. One, you can see the whole knot; nothing is hidden, it’s all revealed. Two, the knot has no beginning and no end; it’s an ongoing, dynamic process. Three, the knot that I have chosen is a bit askew; our maneuvering is often out of the box. Our money lives are like this knot. They are a visible maze that is intricate and sometimes challenging. Sometimes we get stuck in a corner; sometimes money is confusing, embarrassing or even scary. And yet the knot is always there. It’s a never ending relationship. Together we go into your knot, and I help you to understand and maneuver through the knot. You will get familiar with the territory, know your way around, understand the twists and turns. Together we will make sense of where you are on your own personal money path and help you get to where you want to be. Happy New Ka-ching in the New Year! Welcome to the January 2010 Money Knot, a newsletter with articles that bring you to the ka-ching. Frankly, to me, this is not a surprise. This is one of the fundamental places that my work is all about. Fixing the symptoms with money will not make it all better. Fixing only the symptoms mean there are underlying causes to the real problem that aren’t being addressed. Sure, some people have just had something throw them off track; an illness, losing a job, some one time circumstance. Those folks can recover fairly easily, and a program to consolidate, or clear out their debt can help them get back on track. But there are many, many more people for whom “getting behind” and amassing debt are a much more chronic and far reaching issue. Far reaching back into their money history, that is. Thoughts, attitudes, emotions, behaviors all contribute to our money results. They frame our actions for good or bad. Many think of these options as “Get Out Of Jail Free” Monopoly cards. The problem is the rate of repeat offenders. Now don’t misunderstand me. I often suggest to clients that they take advantage of programs to help them get out from under. Even bankruptcy is sometimes a viable option. When you are bleeding all over the ER room, it’s hard to deal with something more subtle like changing your diet and your exercise program. You want a relief and you want one now. What I really want you to do, your long range plan, is to change you think about and use your money. But it’s very hard to focus on that when you are terrified by a looming foreclosure or bewildered by mounting debt. In order to not go there again, you have to choose to change how you relate to money. You can’t just keep doing the same old patterns over and over, or even harder and harder, and expect the results to be different. And yet that’s what we do, isn’t it? I’ll bet that the people who still fall behind on their mortgage payments even after a payment reduction were all in some way trying to do what they have tried to do before only harder. It’s a natural thing. We don’t actually like to change. A client recently asked me “Can we really by-pass learning a lesson the hard way, if we really get it through our spiritual work?” It’s a tricky question. Yes, we can, but we have to be willing to change, and it all depends on belief. If you can change your thinking without having to go through the pain, that’s great! But how many people can do that? It’s often pain that pushes us out of our comfort zone and into change. We have options of course. We can stay with our habits and keep creating the same kinds of circumstances. We can “hit bottom” and be pushed and shoved into change. Or, we can choose to change when we get the early signals, those intuitive hits, long before it gets really hard to change. I’d like to suggest you opt for the last choice. The hard parts get bigger and harder when you don’t. And if you don’t choose to change earlier in the process, instead of simply having to learn new ways to think about and relate to money, you have to learn those news ways while dealing with major issues. So, by all means, reduce the load, the tension and the pressure. But don’t stop there. Once you have a little breathing room use that space to change your choices. Learn about how you think about money, where those habits came from. Reframe your thinking. Become conscious of your money choices. Change the causative parts of your money issues, not just the symptoms. And the point is, do something about this breaking the patterns. There are resources to assist you. Since this is what I do, I have a bunch of them available, including this month’s teleclass, which is a great place to start reframing money thinking. And there are books, other money/financial coaches and professionals, as well as your own ingenuity. Please, just try something different. It’s probably the one thing you haven’t tried, and it will produce different results. Until you do that you’ll just be treating the symptoms over and over, and never correcting the underlying causes. Toward the end of last year, lots of people were asking me about how to figure out their “budgets”. Yes, that challenging word came up again and again. Let’s start the New Year off by looking at how you actually spend your money. $ Do you ever find yourself at the end of the month with no money left? $ Do you struggle with how to change your spending habits? $ Do you find the very idea of budgeting to be uncomfortable and confusing? $ Do the ideas of record keeping and analyzing numbers just make you want to run? A budget is the typical solution to spending problems, and yet budgets don’t always work. If they haven’t worked for you, come explore how to do it differently, without number crunching. Budgeting can be and should be about spending your money in ways that support your financial plan. We’ll simplify the ideas behind creating a budget. We’ll turn all this number crunching into some identifiable and embraceable concepts, and help you make an actual simple plan. We’ll be looking more specifically at how you spend your money as you are spending it. What part of your money goes where? How do you make those choices now? What might be a better way? I don’t usually do a Money Knot or a teleclass in December because everyone is busy, busy, busy with holidays. And I was going to again take this year’s December off when it struck me. What is that saying to Money? Wouldn’t I be doing what we all do, skip it for the season? Now there’s something to talk about. So, what do we do with Money over the Holidays? Most of us use it and ignore it at the same time. We spend it with the idea that we will catch up with it in January. Actually it’s more like April, because it takes that long for many people to catch up with, or recover from, their holiday spending. At the very least it seems we put our money thinking on hold. And yet, what do we expect from Money during December? We expect it to be there. We expect it to stretch to meet our needs and desires. We expect it to magically appear. And we expect it to do all this cheerfully. Hmmm. Remember that thing about how we are going to be in relationship with Money all our lives? Remember the question of: “If we knew we were going to be in relationship with a person forever, how would we want that relationship to be?” I’m guessing that we wouldn’t expect anyone we were in relationship with to do what we expect of Money over the Holidays. Here’s what I think Money will say to you. I think it wants what everyone really and truly wants. It wants your time and attention. It wants to have a shared experience of deep caring with you. Well, isn’t that what we want from our loved ones? Stuff comes and stuff goes, and, frankly, it’s very few presents that make a lasting impression. What we want is positive time together. Money wants some of your time and attention. It might even want your acknowledgment and appreciation for the frenzy you put it through during the holidays. Wait! Money as a loved one? That may be throwing your off, but think about it. Money is there, in your life, day in and day out, just like family. Sometimes Money doesn’t give us everything we want, but then, neither does family. Sometimes we have to work really hard to keep things going with Money, the same as with family. Sometimes Money seems to let us down, just as family does. And sometimes, Money really comes through and helps us, just like family. Oh, and again, just like family, Money has some obstacles in communicating with you, doesn’t it? It can’t talk to you; it has to get your attention in other ways. What if you tried to notice what it might be trying to say? What might that bounced check be saying? What might the pile of unopened bills be saying? And what might the money that unexpectedly lands in your lap be saying to you? So check in with your Money and see what its wish list looks like for this holiday season. Can you possibly fit in giving Money a bit of what it wants now, and during the coming year? From the crunch of snow to the ka-ching of sleigh bells, happy holidays to you. Nope, there is no teleclass for December. The teleclasses will resume in January, 2010. Let me take you from the crunch to the ka-ching!